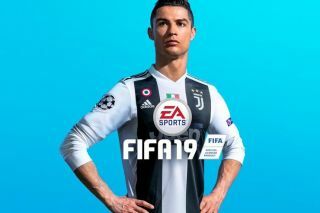 FIFPlay have been busy running a poll on who fans want to see on the cover of FIFA 2020 in September, and Cristiano Ronaldo is facing some stiff competition. The Portuguese superstar is naturally always in the running, and it has to be stressed that the outcome of this poll won’t seemingly influence the final decision. 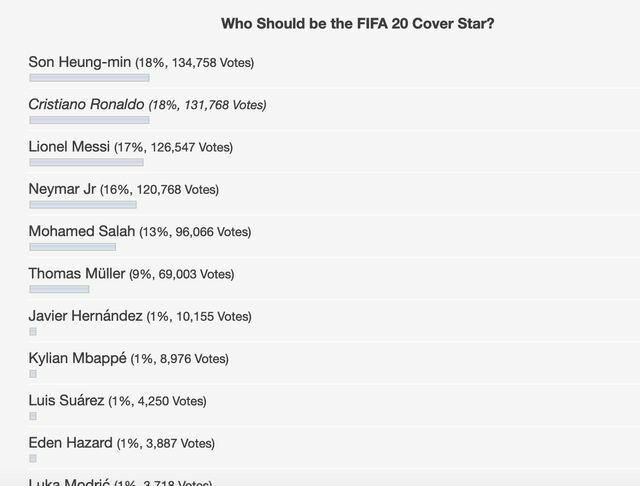 However, as seen in the image below, Ronaldo is currently in second place in the FIFPlay vote, with Tottenham star Heung-Min Son leading the way. The South Korean international has 134,758 votes compared to Ronaldo’s 131,768, and so there really is little between them with Lionel Messi in third place. It has to be said that there may well be an element of people voting in favour of Son to push Ronaldo into second place as the vote has gone viral and has attracted thousands of votes. Nevertheless, if FIFA and EA Sports are to take notice of this vote, then they will have to consider Son as a viable candidate to keep their fans happy!